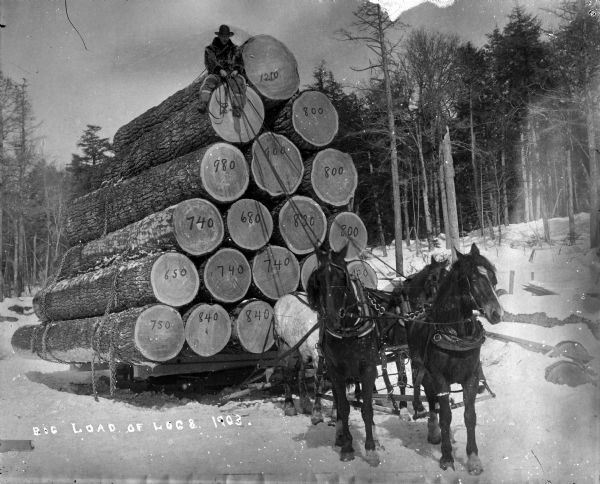 A man sits atop a very high load of logs on a sled pulled by three horses. There is snow on the ground. Numbers are written on the cut ends of the logs.